Dr. Terrance Galvin is the Founding Director of the Laurentian University, McEwen School of Architecture (LAL), that officially opened in September 2013. He began architecture studies at University of Toronto and graduated with a Bachelor of Environmental Design Studies and a Master of Architecture from the Technical University of Nova Scotia (TUNS). He holds a post-professional Master's in History & Theory from McGill University and a Doctorate in Architecture from the University of Pennsylvania (PENN). Galvin began teaching architecture and design at McGill University, first as an Adjunct Professor and then as a Research Associate. Prior to moving with his family to Sudbury, Dr. Galvin was the Director of the School of Architecture at Dalhousie University in Halifax where, as an Associate Professor, he taught architectural history, theory and design. 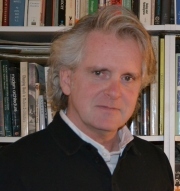 Dr. Galvin is Past President of the Canadian Architectural Certification Board (CACB) and is the current CACB Vice-President; he has served on numerous provincial and national boards governing architectural education and practice in Canada, including the CCUSA. As an academic researcher, Galvin's applied research regarding local technologies and cultural sustainability have led to collaborations with communities in Peru, India, Thailand and Mexico. In each of these projects, funded through agenices including CIDA, IDRC, and HRSDC, local technologies that have been lost or abandoned have been reexamined for their appropriateness and affordability. Other scholarly writings on diverse subjects related to architectural theory, including angels in architecture, the loss of theories of proportion in architecture, and architecture and freemasonry, have been published in Canada, the USA and Germany.